NTERNATIONAL CONFERENCE DIGITAL CULTURES: Knowledge / Culture / Technology. 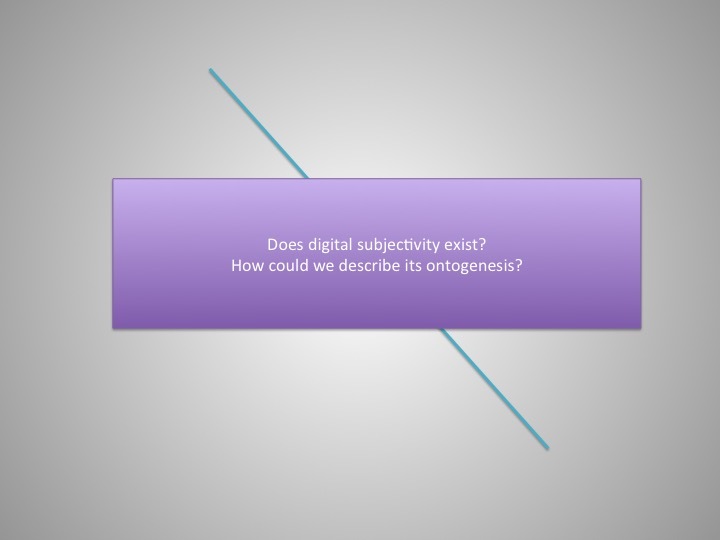 The aim of this paper is to ask about the ontogenesis of digital subjectivity. Instead of taking for granted the fact that there is such a thing as a “digital subjectivity” we would like to suggest these questions: what does it mean that subjectivity is becoming digital? And how could we describe this becoming? According to Simondon individuation is never a given fact, it is always an action, an operation, an unfolding and a modulation of the being. Individuation implies a de-phasing, that is, the being complete where there are no phases (what he calls the preindividual reality) enters into a process of phases of structuration. But why does this happen? Is it a spontaneous unfolding of the being that opens this process of phase shifting individuation? Far from being a smooth flourishing, the process of individuation is always preceded by a state of tension. Individuation comes always as a resolution of a problem of tension and incompatibility of orders of magnitude. When the instability caused by different dimensions or orders of magnitude between which there is no possible communication leads to the emergence of communication pathways, the energy enters a phase of individuation and thus becomes meta-stable. This gives rise not only to the individual but to the transductive couple: individual and associated milieu. However ontogenesis does not only emerge out of a preindividual reality, it can also unfold from an ongoing individuation. This is the case of subjectivity that emerges out of a vital individuation. According to Simondon, subjectivity is not a proper “individuation” but a process of psychic individualization and transindividuation, a new layer that needs a vital individuation as a support. In this phase the psychic and somatic functions are differentiated but coupled in a transductive energetic field: the “I” is the individual and the body its associated milieu. In this paper we will argue that the tensions provoked by datification in our daily life can be read as the sign of a new phase of psycho-technical individualization. 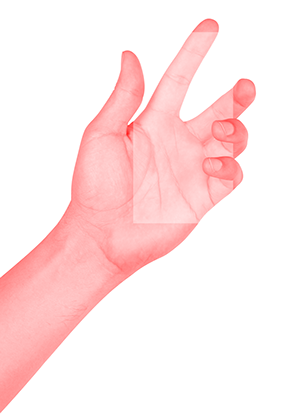 The Internet and the proliferation of digital objects connect us with new scales and magnitude orders that are no always compatible with the limits of the body. The vastness and virtual infinity of the data-environments to which they connect us is producing a tension within our psychic associated milieu that claims a new resolution, that is to say, a new process of individuation. Exo-individualization is a notion that aims to describe the process by which subjectivity is coupled with digital objects as a second associated milieu, that is to say, as a second body. Understanding digital subjectivity in this way can give us the basis from which to address the somato-objectual and transindividual schemes that we need to produce so that these technologies, rather than acting as dissociative milieus and dis-individuating agents, give rise to a new psycho-technical phase of subjectivity.